What you need to know about the 1.4 billion people living without electricity — and how you can help light up their future. 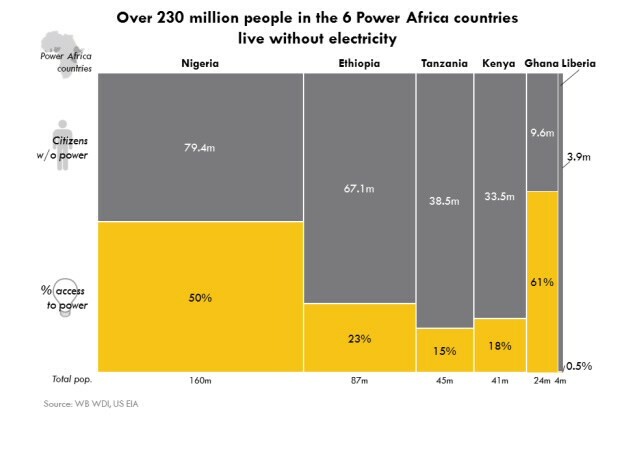 About 600 million of those people live in Africa, where only one in three people are connected to power. 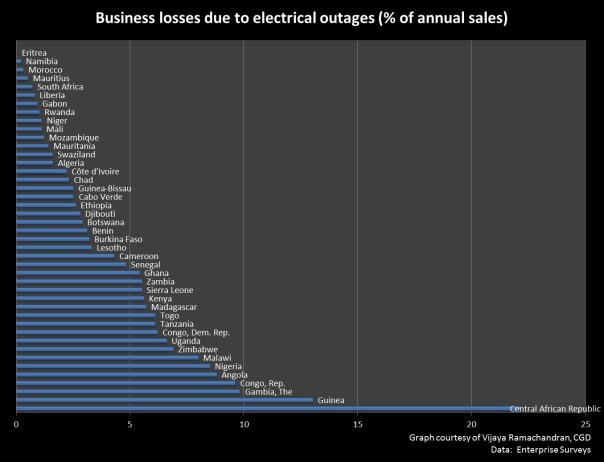 A few poor countries in other regions have similar electrification rates — like Haiti (28%) and Cambodia (34%) — yet nowhere is the electricity gap as great as in sub-Saharan Africa. Similar to the $1.25/day line used to define global economic poverty, setting an energy poverty line can be useful for creating good energy goals, plans, and policies. 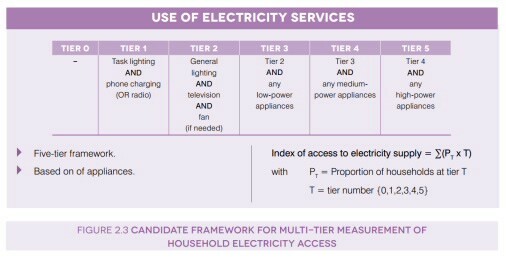 It can help policymakers think of energy access beyond just hooking a household up to a grid or providing a solar lantern. 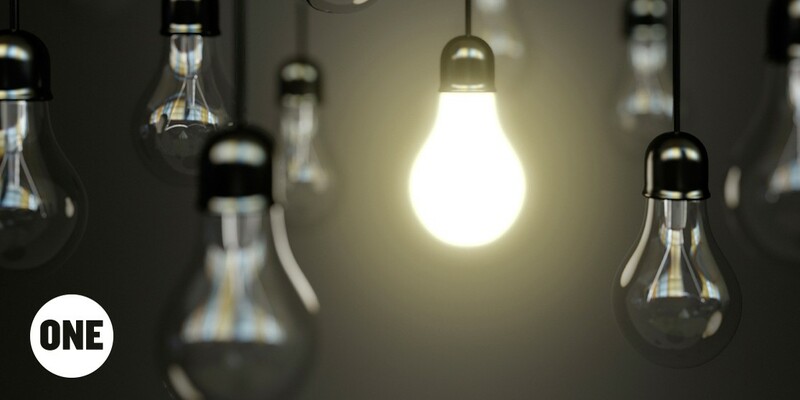 Currently, the global energy poverty line is far too low. 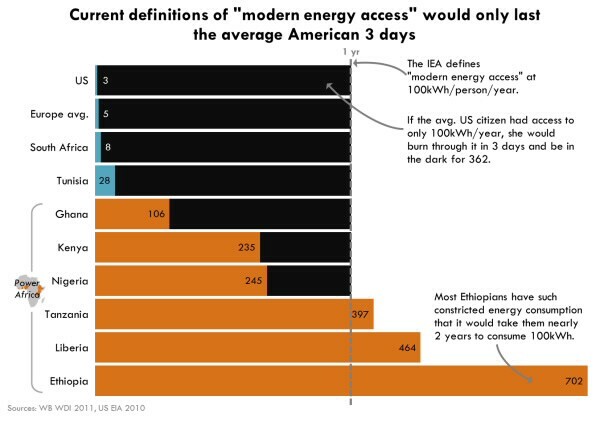 The International Energy Agency defines “modern energy access” — i.e., the amount of energy needed to support a modern lifestyle — as 100kWh/person/year. However, that’s barely enough to power a single 60W light bulb for five hours per day for a year. An American would use that much energy in just three days. The US government has used public investment and public policy to electrify our own country, perhaps most famously the Tennessee Valley Authority in the 1930s. Today, numerous U.S. government agencies are working in partnership with governments and the private sector in Africa to help end energy poverty. One of the most important components of the U.S. effort is the investments made by the Overseas Private Investment Corporation (OPIC). As the US development finance institution, OPIC supports U.S. companies’ efforts to invest in power projects in developing countries. However, OPIC currently operates under uncertain policies with respect to the types of fuels in which the U.S. can invest for reducing energy poverty in developing countries. For several years, OPIC operated under a policy restricting the carbon footprint of the investments in its portfolio. There are real tradeoffs in our energy policy choices. Reducing CO2 emissions and promoting clean energy is a critical goal, but it shouldn’t be done at the expense of poor people living in countries with the most need and the least emissions. These countries represent such a tiny share of global emissions that restricting our investment there to only zero-carbon fuel sources does almost nothing to solve climate change. 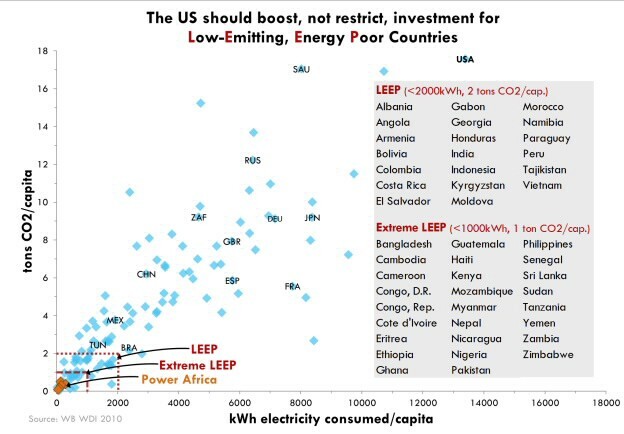 However, easing such restrictions for these low-emitting, energy poor (LEEP) countries and supporting affordable energy generation would significantly help end energy poverty. 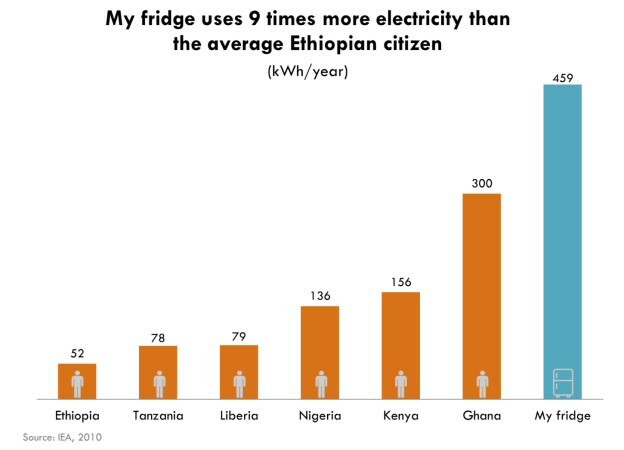 Where can I read more about energy poverty? Check out CGD’s Energy Poverty page for blogs, publications, and news. Right now, there’s a bill in the Senate that can help Africa bring electricity to 50 million people. Join more than 107,300 people and sign the petition. A campaigning and advocacy organization of more than 8 million people taking action to end extreme poverty and preventable disease, particularly in Africa.